When moving to a New Jersey apartment, it is important to be as thorough as possible when selecting the right apartment. While it might be tempting to call up your local movers NJ and move into the first apartment that you look at, you should try to contain your excitement a little bit and do your research. After all, the apartment that you move into will be your home for the foreseeable future, so you better make sure that you’ll be satisfied with where you are living! Using the internet is an extremely easy way to narrow down your search and find potential apartments that will work for you. Instead of having to spend hours driving around town or flipping through the classifieds, you can now conduct your search online. Be sure to use a reputable online directory to find apartments that are within your budget and provide the necessary space and amenities that you are looking for in your next home. Using the internet will allow you to narrow down your search based on location and other filters, which can save you a lot of time in your search! Like anywhere else when it comes to finding the right apartment, it all comes down to location, location, location! Some neighborhoods are more suitable for the college life, while others are geared more towards retirees or families. Visit the various neighborhoods that you are interested in, and get a feel for the area. Do your homework and find the right neighborhood for you. Important factors to consider are your commute time to work. Also, are there restaurants, shopping, and entertainment close to you? Would you rather live a little farther out from all the hustle and bustle or be in the middle of town? The best apartments will be located within reasonable commuting distance of just about anywhere you will need or want to go. Before you sign a lease on a new apartment, always do a walk-through! Be sure to document any damage that you see during your walk-through and notify the property’s management. Also, during the walk-through, it is a good idea to see if you’re furniture will fit, and how the layout of the apartment will work with your lifestyle. Don’t be afraid of asking too many questions. When considering signing a lease on a new apartment there should be no doubt in your mind that you are moving into the right apartment for you. If possible, ask other residents about the area. Do they enjoy living in the neighborhood or not? By the time you sign the lease you should be confident that you have made the right decision about picking the right apartment for you. Once you have found the right apartment, contact your local movers NJ and schedule your move today! 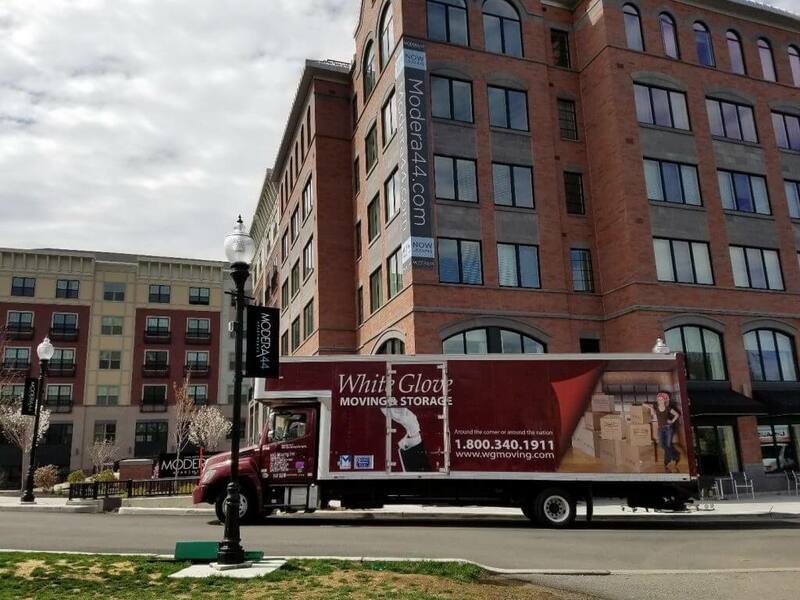 At White Glove Moving and Storage, we treat you like family, which means that you can trust us to take care of your possessions and have a pleasant experience moving into your newly-found, New Jersey apartment!